CENTER BARNSTEAD- Tessa Reneé Carter, 16, of Center Barnstead, passed away on April 1, 2019. Born in Concord, Tessa was the beloved daughter of Mark Carter and Nicole Hastings. She was a lifelong resident of Center Barnstead. Tessa was an active member of the Prospect Mountain High School Class of 2020. She was the Valedictorian of her class as well as Class President and head of the student council. She was a member of the history club, the National Honor Society, the Tri-M Music Honor Society, the F.B.L.A. (Future Business Leaders of America) and was involved with Project Search at U.N.H. 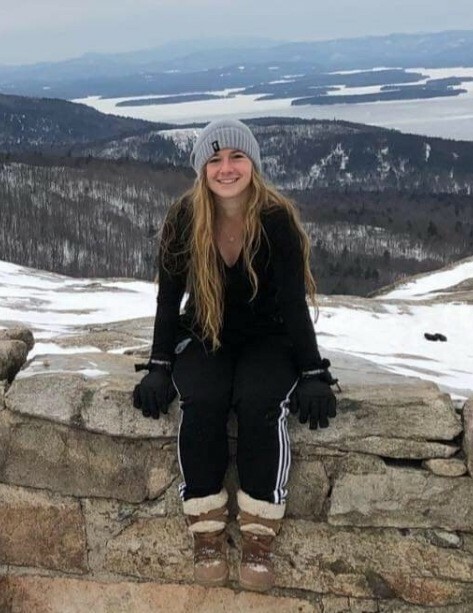 An extremely gifted and athletic young woman, Tessa lived her passion for soccer as a member of the indoor and outdoor soccer team and also played softball, basketball, and ran track. She also played the flute. Tessa had a devotion for caring for others through her involvement with Unified Basketball and as being a caretaker for three children, Anna, Paige and Madelyn Holway as well as for Jim Locke. She was a volunteer Parks and Rec soccer coach for 6-7 year olds and a summer camp counselor at Alton Bay. She will be remembered for her caring spirit, her extraordinary intelligence and her unforgettable smile. Her dreams of traveling the world will live on within all who loved her. In addition to her parents, she is survived by her siblings: Julia Carter, Miranda Carter and Luke Carter, her grandparents, Randi and Wayne Hastings of Loudon and Bob and Dierdre Carter of Barnstead, and many aunts, uncles and cousins too numerous to name but including Nathaniel, Bridget, Molly and William Hastings, Heather and Jordan Carter, Bronson and Deborah Cooke and Reneé and Bruce Martinson. She also leaves countless friends, teammates and classmates.